The Bounce Energy Balls nourish your body, satisfy your hunger and provide you with sustainable energy. Their unique combination of high quality proteins, carbohydrates, vitamins, minerals and good fats helps you sustain a healthy, active lifestyle. 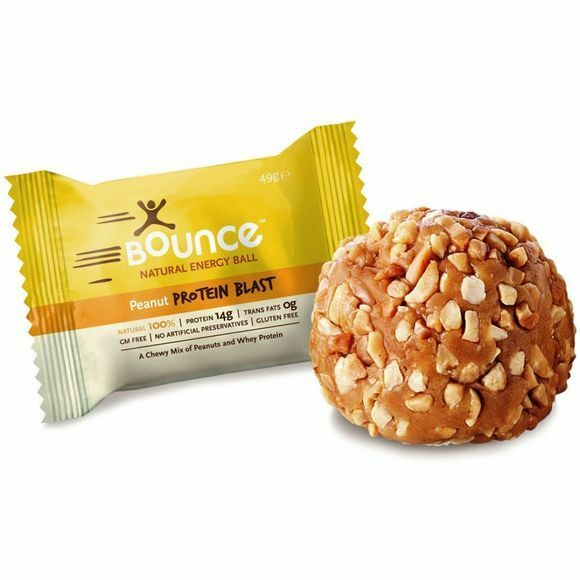 Only premium quality ingredients are used, making Bounce Energy Ball Peanut a unique, luxurious treat for your body.